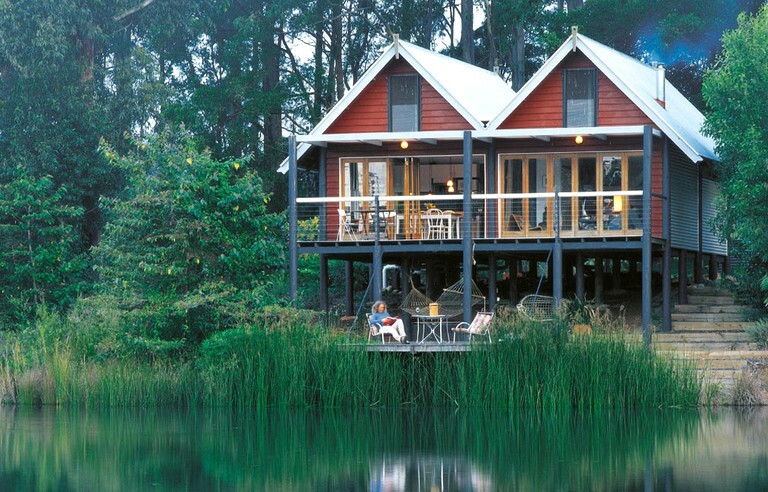 This contemporary luxury camping cottage in Queensland, Australia, can accommodate up to four guests and features a queen-size bed, as well as a double futon in the loft that is accessed by a ship's ladder and a double pull-out sofa bed by the fire. All linen is provided. 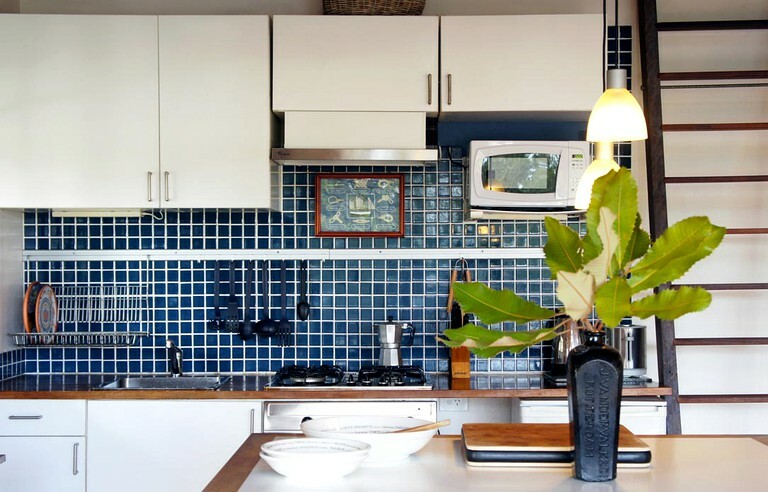 The kitchen is fully equipped with a gas cook top with wok burner, a fan-forced electric oven and grill, a microwave, a health grill, an electric frying pan, a kettle, and a toaster. There is also a television with a DVD player and DVDs, as well as a stereo with a radio, a CD player, an iPod dock, magazines, books, and cassettes. 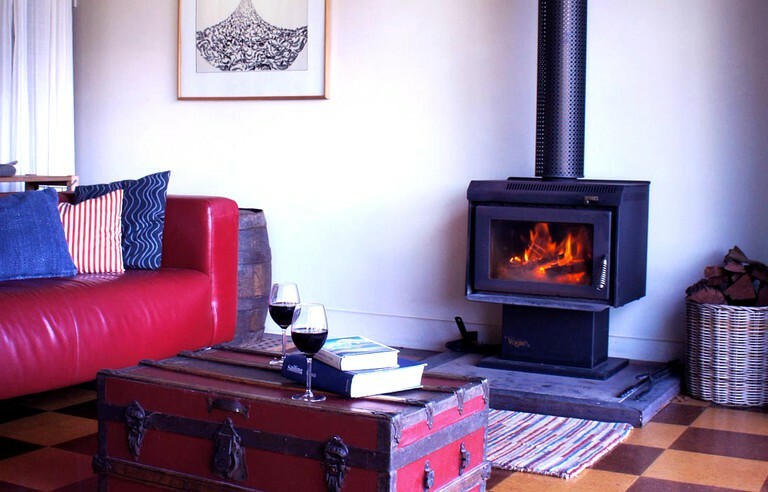 When it gets cool at night, as it often does because of the elevation, guests can close the doors and curl up in front of a wood fire with a hot drink or a glass of wine. When the days are warm, open the house up and let the breezes cooled by the lake refresh you. This is a non-smoking cottage. 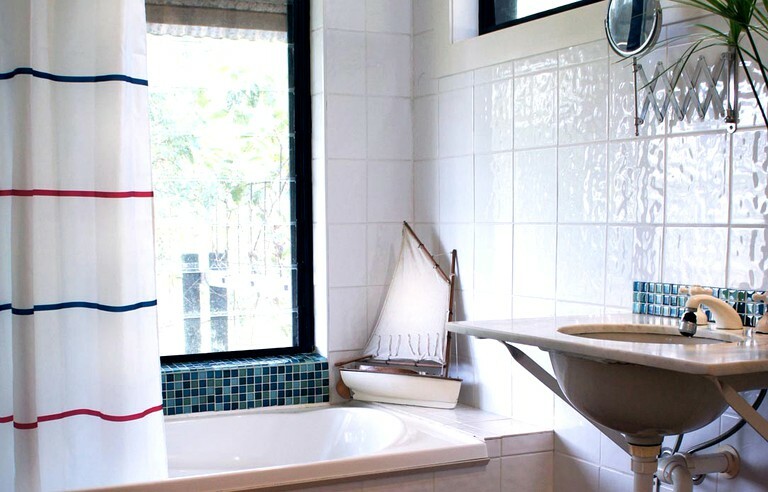 The cottages' facilities include a television with a DVD player, VCR player, and videos, as well as a stereo with a radio, a CD player, and an iPod dock. Outside, glampers will be delighted to find a wood-burning fireplace and an outdoor kitchen (in addition to the fully equipped indoor kitchen) with a barbecue. If guests are interested, they can add on a breakfast basket to their booking, which includes provisions for two people, and costs $27 USD ($35 AUD) per day. Please mention this at the time of booking, if interested. Both small and medium weddings have been celebrated at this glamping site—on the decks, on the beach, in the rainforest, and more. The hosts would love to discuss wedding plans with anyone interested in hosting their wedding at this property; please inquire with the hosts for more details and pricing. In addition, scheduled visits by clubs and organizations are welcome, whether for a morning, an afternoon, or the whole day. There is an entry charge per person, and the property can offer morning or afternoon refreshments. Again, please contact the host for more details, if interested. The retreat is open for stays year round, so depending on the season in which guests visit, they will have the opportunity to participate in a variety of different activities. Winter brings frosty mornings, warm, mellow days and cold nights, where the skies are crystal clear and the heavens have never looked more beautiful. Spring brings gardens full of the perfumes of wisteria, roses, lavender, citrus, and eucalyptus blossom, as well as a new batch of Wiltshire longhorn lambs gamboling in the paddocks. During summer, glampers will have the chance to help with the wine grape harvest and enjoy a pickers picnic. In the fall, clouds rise up from the lake at dawn and drift down into the valley, as guests take a basket and go mushroom hunting in the paddocks. 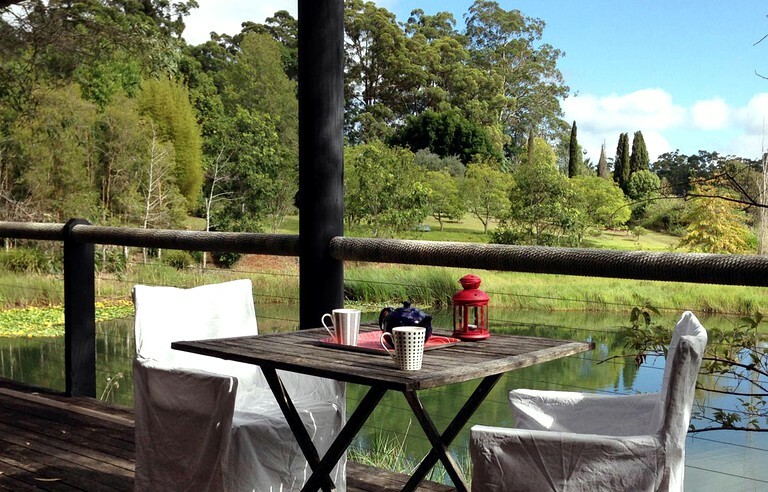 Cloudlake allows for an invigorating getaway, including exploring the rainforest, the aforementioned orchards and vineyards, heading up to the National Park and Beutels Lookout, and going paddling out on or swimming in the lake, to name but a few. Guests can even go blueberry picking from November to February at the Hampton Blue Blueberry Farm! There are also a number of great local places to have a meal out, no matter what time of day, such as Bunnyconnellen, Ravensbourne Café (within walking distance of this glamping property! ), and Flavours at Hampton. Check-in is from 2 p.m. on, and check-out must be by 10 a.m, but the hosts can be flexible about the check-out time, if previously discussed. The daily rate is based on a double occupancy and a minimum two-night stay. 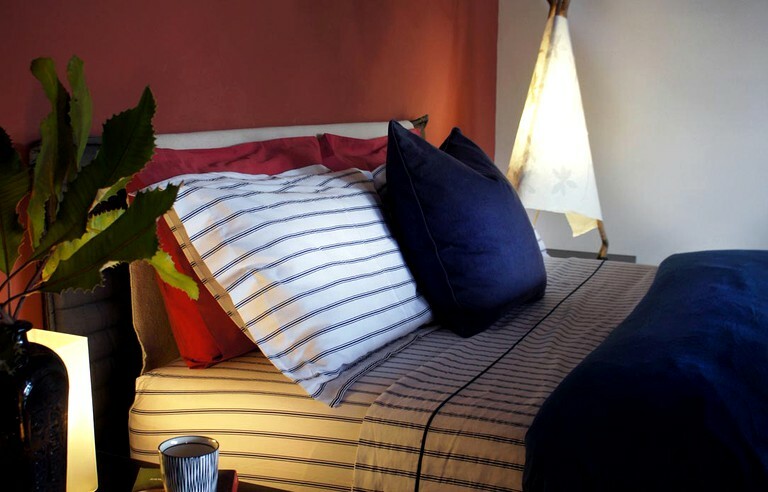 The minimum night stay changes to three nights for long weekends and four nights for Easter.